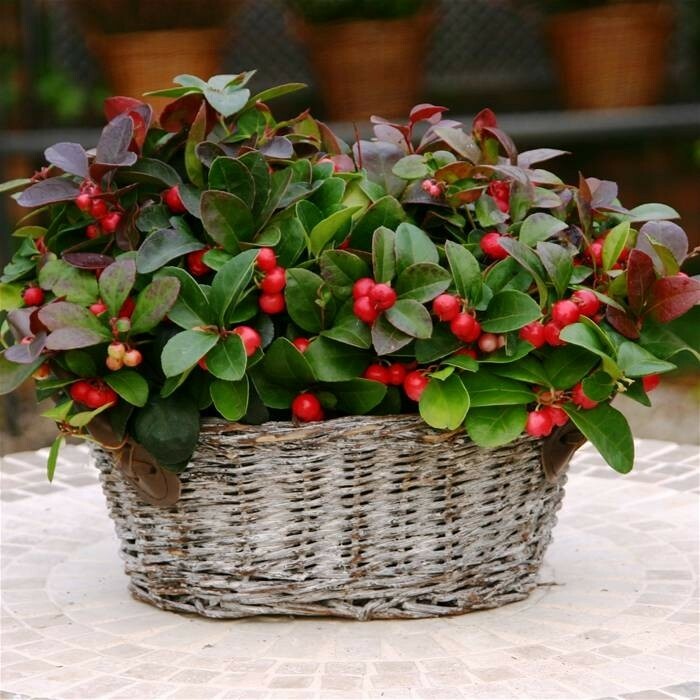 Gaultheria procumbens is also known as the Eastern Teaberry, Checker Berry, and Wintergreen Plant. You'll find it an excellent evergreen, ground covering plant, with dense evergreen foliage that is low and creeping, yet it remains non-invasive and well behaved! It will form a nice carpet of dark green, red tinted foliage, often taking on a metallic tint in winter. 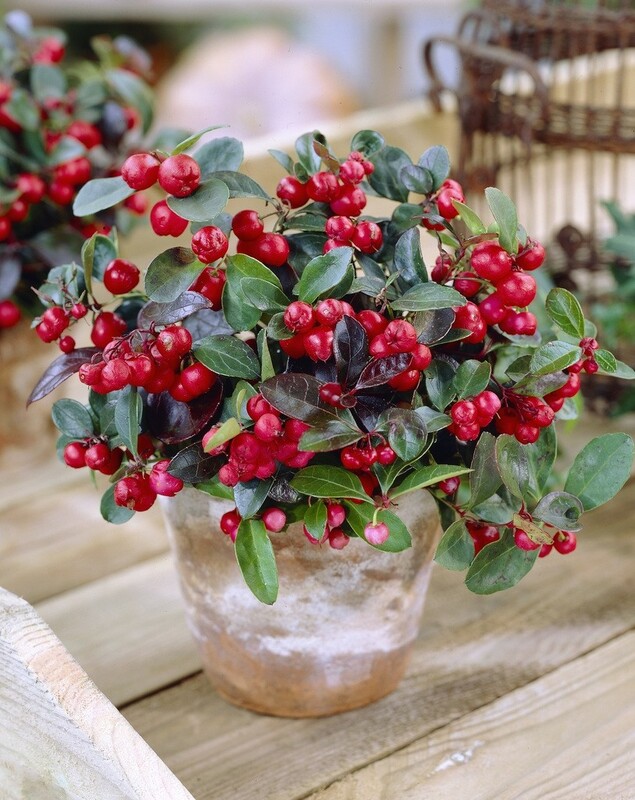 This forms the perfect foil to the numerous festive looking, bright red berries. Very hardy, this plant is easy to grow, and will thrive in a damp position with good quality soil, it will even grow in a problem shady spot under trees. It will make a fantastic ground cover, grow on banks, and even look well as an informal path edging. 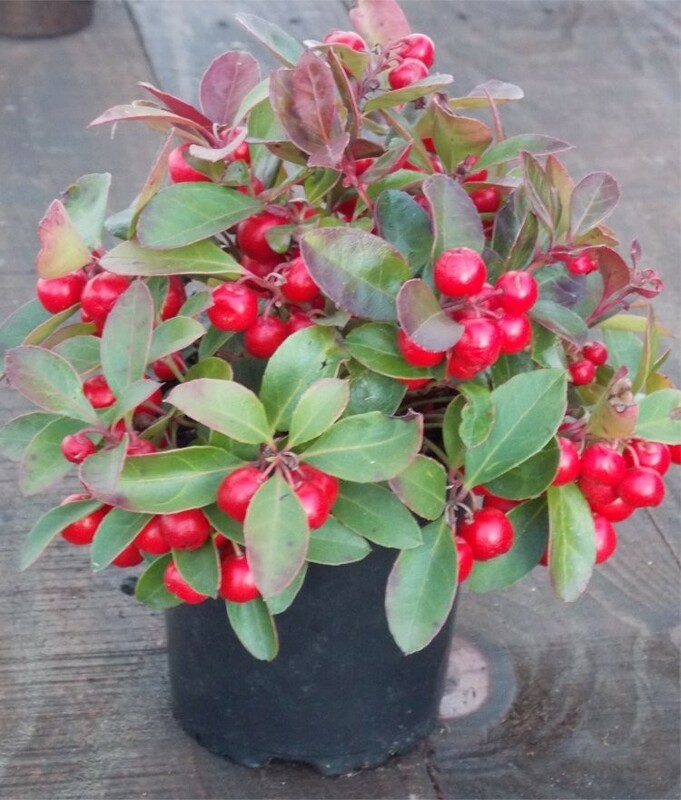 It's great used combined with other plants in seasonal planters to look good from Autumn through to Spring with the display of bright berries. The thick glossy foliage is strong and bold, and even harvested and distilled commercially in to essential oils for aromatherapy. White, urn shaped flowers will appear mid to late summer followed by the chunky red berries later on. The Royal Horticultural Society have also given this plant the prestigious Award of Garden Merit, which identifies what they believe to be some of the best plants available. Pack of Three Plants supplied as pictured in approx. 10.5cm/1 litre containers.